Coastsider is a community Web site for coastal San Mateo County. We encourage readers to post stories that they have a personal interest in, whether they think they can add something new to the conversation, or want to ask question. Other readers can comment or answer questions. You need to be registered member to post stories or comments. There is no charge or any other requirements for membership, except for a valid email address and your real name. 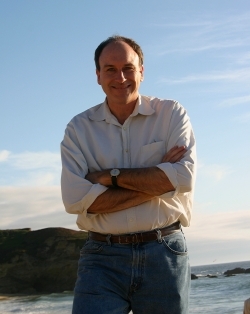 Coastsider was created by Barry Parr, who lives and works at home in Montara. Barry was one of the architects of the San Jose Mercury News and News.com websites. Barry also writes the media weblog MediaSavvy. His goal was to apply what he has learned about building news sites to the coastside community. He’s currently a media analyst with a technology market research firm. What are the rules on Coastsider? How do I contact Coastsider? How do I create stories? Register for membership using the link in the navigation bar. Enter your story using the "Post Letter" link at the top of the page. You only need to give us your name and a valid email address. We promise not to spam you or share your address. Once you’re a member, you can comment on stories, or create your own. Who owns the information posted on Coastsider? You own your own words, but you give us permission to reproduce them. Coastsider is also covered by a Creative Commons license that gives others permission to reproduce our content as long as they give us credit. However, information and pictures that do not originate on Coastsider may have other licensing terms. Please inquire before reproducing. Coastsider is for everyone who cares about the coastside. We will review stories for consistency with or editorial policy. We will remove articles and comments that are spam, false, disrepectful, or illegal. We’ll use our best judgement, but it’s at our discretion. As for our posters, we recommend writing about others the way you’d want them to write about you. Be respectful and fair.